Trolli’s new Sour Tiny Brite Hands product is a nod to the first film. Part of a 360-degree campaign, the Times Square activation mimicked a Calvin Klein photo shoot. Passersby were invited by black- and white-clad brand ambassadors to grab a package of Sour Brite Tiny Hands and flaunt their modeling skills in a high-fashion photo shoot. 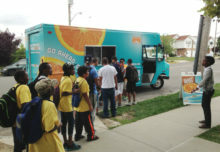 To get participants in the mood to flaunt their modeling savvy, brand ambassadors offered examples of how to best showcase their (Trolli) package as they distributed samples. 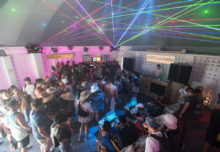 Then it was lights, camera, action, with consumers strutting their stuff as the brands applied a black and white filter reminiscent of Calvin Klein print ads to the photos, with the exception of the candy package, which was displayed in vivid color. The best photos from the experience were then broadcast on Time Square’s massive digital billboard for all to view. Some of Time Square’s larger-than-life personalities, including Spider-Man and the Naked Cowboy, also participated. When consumers weren’t posing, they could also grab a Trolli-scented card designed to spoof the kind of fragrance strips found in magazines (nice touch). They could also post a photo from the shoot using #PackagePose for a chance to win a VIP Deadpool experience for two in New York City. The trip will include activities Deadpool would be likely to participate in, like mixed martial arts classes and upscale dinners. Digital fans could also enter the sweepstakes by creating their own #ShowUsYourPackage moment and posting it to Twitter or Instagram. 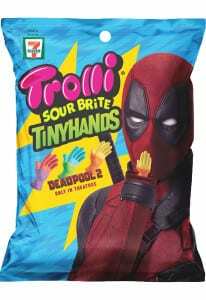 “Deadpool has strong appeal with Trolli’s core consumer,” says Wyrwicz. “We’ve been looking to build awareness and keep propelling our growth trajectory and the overall popularity of Deadpool makes him a perfect platform for us in that sense.” Agency: Periscope, Minneapolis.